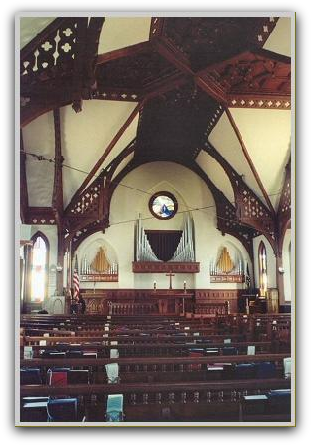 This organ was originally built by Reuter and later expanded and modified by Snyder in 1980. 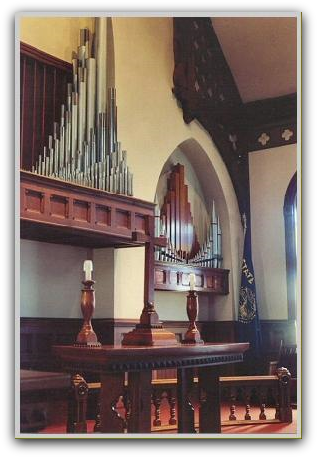 Hochhalter, Inc has added two ranks to the Great Organ and revoiced the existing Great pipes. The new pipes are a 4' Octave (70 % tin) and a wood 8' Stopped Diapason. The existing Koppelflute was moved to the new alcove windchests.